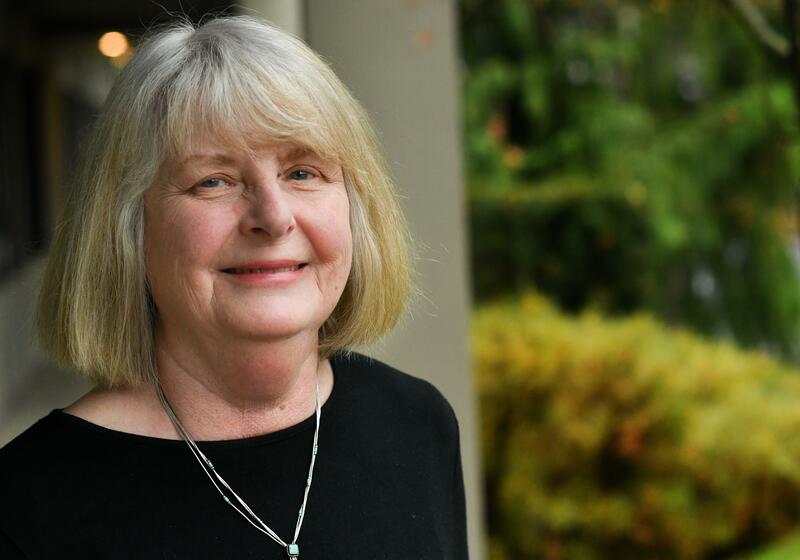 Kathy Thamm has two major passions: connecting families to safe, affordable, quality child care and helping those battling addiction find a pathway to recovery. For the past 14 years, six of them as executive director, she’s found an outlet for those passions at Community-Minded Enterprises. Formed as a grassroots organization in the early 1990s and incorporated in 1997, the Spokane nonprofit’s mission is to improve the long-term well-being of communities through outreach, access and training. As Thamm, 70, prepares to retire this month, she spent some time reflecting on her career at CME. Her focus on safe child care and helping those struggling with substance abuse stems from personal tragedy. Thamm channeled her pain into helping parents ensure they had access to safe child care. She ran the Childcare Resource and Referral program and built a database of safe child care facilities. When that program ended, she joined CME in 2004 as the Early Learning Initiative director. In that role, Thamm was instrumental in the formation of a statewide quality ratings improvement system for child care. The ratings system later became Early Achievers. Thamm led that work, expanding the program from Spokane County to all of Eastern Washington. She also saw the need to bring financial stability to child care and established business training specifically for child care facilities. At the federal, state and local level, Thamm reached out to lawmakers to advance early learning legislation. “We have 30 coaches who help get child care centers rated and that information is readily available to the public,” Thamm said. Thamm still sees plenty that concerns her. “In Spokane right now, it’s hard because we have very few openings, especially for infants,” she said. And the cost is a harsh reality for parents. Another program birthed under Thamm’s watch is the Recovery Cafe, a peer-to-peer support for people recovering from addiction. Launched February 2017, Recovery Cafe in Peaceful Valley offers support and social connections for those struggling with addiction issues. People who go to Recovery Cafe agree to become members, which means a person must be at least 24 hours substance-free and attend an orientation session, along with regularly attending a weekly small group recovery circle. The circles are led by a trained recovery coach. She’s also excited about the growth of Community-Minded Television. This state-of-the-art television studio in downtown Spokane provides a place to share community stories. After taking a class, people can check out the equipment and film their stories, come back to the studio and edit them, and then have the program aired on the 24/7 public-access channel. CMTV14 also helps share nonprofit stories. Thamm is also proud of Plan to Work, a program that assists individuals on disability who are hoping to get a job or return to work. The organization’s newest program is Better Health Together, a program for men, ages 18 to 34, who are just coming out of jail and are at high risk to reoffend. CME provides community health workers who serve as coaches for the young men and ensure they have access and support to whatever services they may need. Under Thamm’s leadership Community-Minded Enterprises staff has grown from 20 to more than 50, and the organization recently was cited as one of the Best Places to Work in the Inland Northwest. Her retirement plans include revisiting her love of photography and helping her husband artist, John Thamm, launch his second book. She’s most proud of the Early Achievers program and the Recovery Cafe. Published: Dec. 6, 2018, 6 a.m.